Create a space for memories. 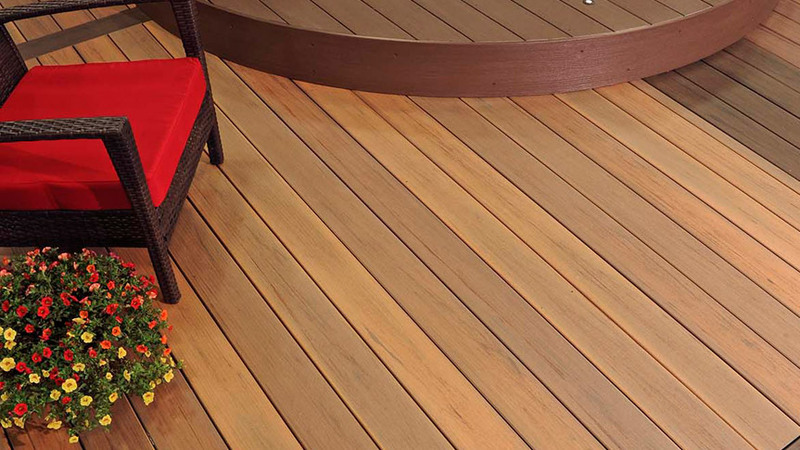 Stain and scratch resistant and splinter-free, composite decks are a place for the whole family to spend time together. Less work, more beauty. Composite decks banish fading, mold, mildew, and rot. With just a periodic wash, it’ll look like a newly-stained wood deck every year — without the work. Make a statement. Composite decking transforms any outdoor space into a luxury retreat. Made with recycled materials, you can stand behind your eco-friendly decision. 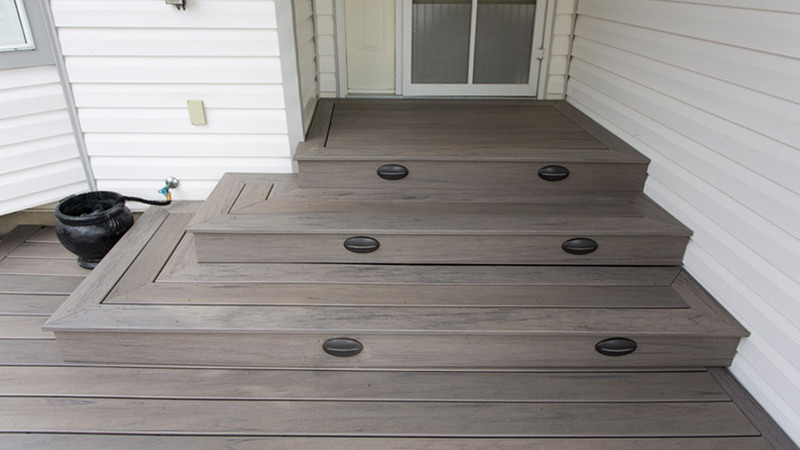 Composite decking is a sleek, long lasting, and very low maintenance alternative to traditional wooden decks. With varieties for every budget and aesthetic preference, composite decking promises more time spent enjoying your deck and less time maintaining it. 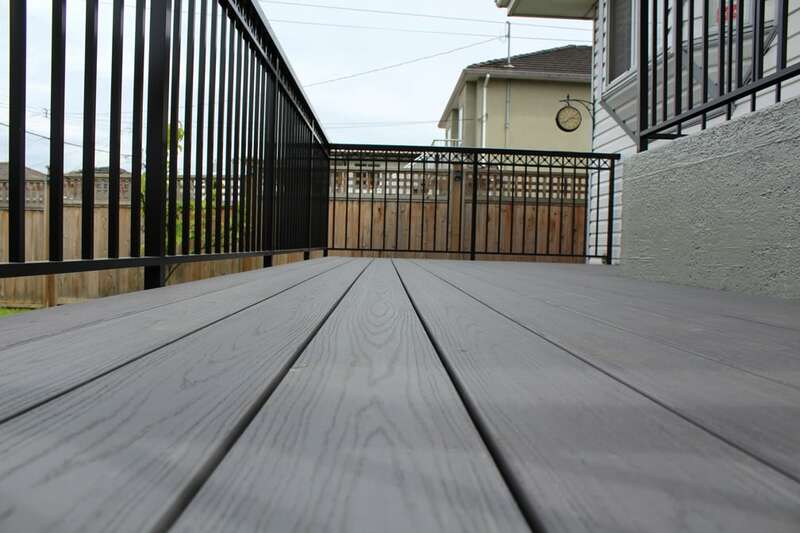 Composite decking is a smart choice for homes in Lower Mainland, BC; it stands up to moisture more effectively than other decking.  Unlike traditional decks, composite decks don’t rot or splinter and they’re resistant to mold, mildew, and warping. They also never require staining or painting, making maintenance costs virtually zero over the full lifetime of the deck. Composite decking is made from a mix of plastic (PVC) and recycled wood materials with a durable, protective plastic cap. The plastic cap protects from moisture and insects and is coloured and patterned to resemble real wood. From grey to brown and red, there are a variety of composite decking colours and textures to choose from. 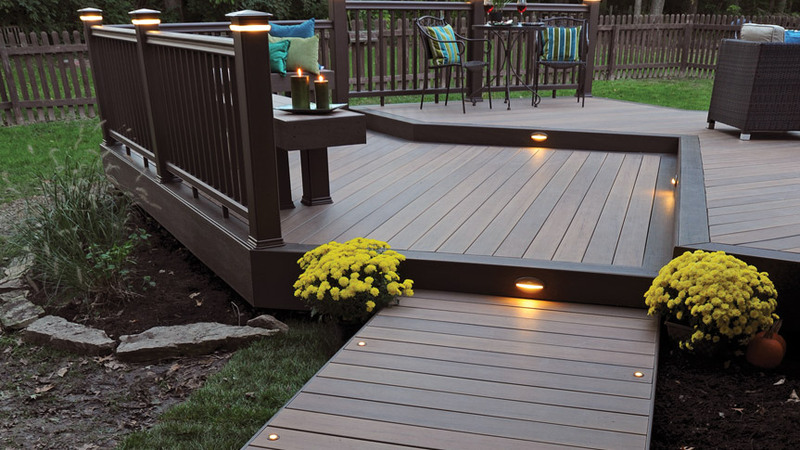 Composite railings and inset lighting options are also available — upgrading a new composite deck your dream deck. 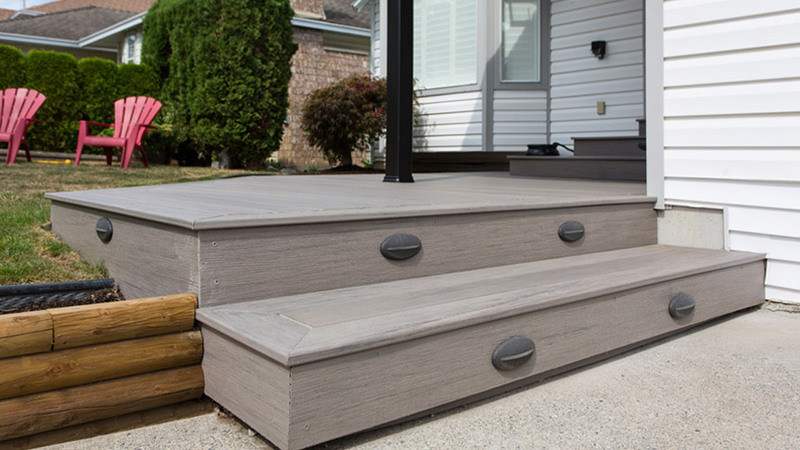 As a certified TimberTech & AZEK installer, we offer consultation and installation services for these and other industry-leading composite decking brands across greater Vancouver.